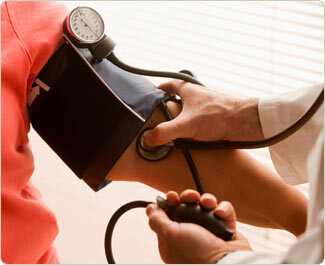 Reducing high blood pressure is a key factor in decreasing the risk of heart disease and strokes. We can have high blood pressure without knowing it and the only way to know for sure is to have it physically measured. High blood pressure can often come hand-in-hand with other circulation problems, such as high cholesterol and diabetes. Having a generally healthy heart by eating the right stuff and being active and fit is usually enough to keep all of these common circulation issues at bay. There is of course medication for high blood pressure, but that always has side-effects, and usually some quite unpleasant ones too. Blood pressure medication normally has diuretic effects causing our body to loose water. Therefore a more natural approach is best, using changes in diet and lifestyle to safely reduce blood pressure. What are the best foods for reducing high blood pressure? In addition to these two specific nutrients a diet high in fibre will help slow down digestion and help to lower blood pressure by helping to reduce cholesterol. What Exactly Is Blood Pressure? Our blood pressure rises and falls constantly during the day for various reasons, and this is completely normal. It is when our BP remains permanently raised that we need to take steps to reduce it before it leads to more serious health problems. A healthy and fit young person should have a blood pressure reading of 120/80 and a fit middle aged person could have a reading of 135/90. If BP readings start to creep over 140/90 and up to 160/110, then this can indicate borderline hypertension (hypertension is the official medical term for high blood pressure). If, up to now you have had a relatively sedentary lifestyle and done little or no exercise, then exercise should be approached with caution. Gently at first so as to not cause any injury or stress bought on by sudden bursts of exercise. If you are new to exercise then it is best to consult a professional such as a personal trainer or an instructor at your local gym. They will be able to prescribe the best exercises for your current fitness, or lack of fitness, level. A lifestyle that has regular exercise, healthy eating habits and avoiding stress and anxiety will be a lifestyle resulting in lowered blood pressure. For a heart health diet plan to help with reducing high blood pressure, click here. Click back to the homepage.